It is said that experience is inevitable; but learning is optional. To be able to learn, we have to be very deliberate in pursuing and facing the truth, which is not always easy. When we seek feedback from fair and objective colleagues on our actions, we may receive criticism; but we still need to ask for clear and honest assessment of our behaviour. Since all these tend to cause intellectual and emotional pain, we may choose to avoid such exploration. That's why learning from experience is easier said than done. 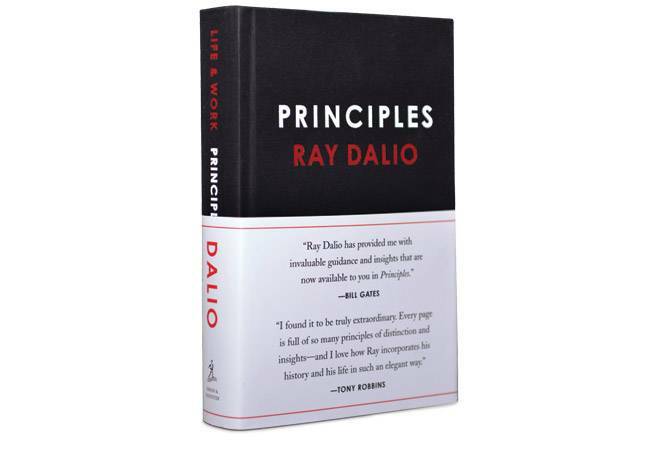 On the other hand, Ray Dalio, founder of the largest hedge fund in the world that manages $160 billion, and author of the book Principles is a person who has failed well. Rather than wallow in his failure, he had chosen to be brutally honest with himself and reflect on his painful experiences which helped him develop valuable life and work principles. In the 500-plus pages of the book, he shares these principles in three parts. The first section is autobiographical - Dalio provides a candid account of the conflicts in his team, the bad bets that nearly killed his firm, and certain personal setbacks. Through personal examples, he shows how he developed and tested his principles. He suggests that we learn far more from our failures than our successes. The second part, titled 'Life Principles', deals with how he manages and leads his firm Bridgewater Associates to ensure consistently high performance. In the third section, Dalio outlines the building blocks for designing an effective organisation to achieve the right balance of people, processes and technology. He describes how he has made his choices - for instance, of relying more on technology to achieve growth in the early stages of his firm. The biggest takeaway from the discussion is not his final conclusion, but the discipline with which he approached his decision-making. For me, the core of the book is about what it takes to be a continuous and committed learner, and this is crucial in today's VUCA world. While there are several principles, there are a few ideas that are central to the approaches that Dalio recommends. These include radical transparency, idea meritocracy and thoughtful disagreements. Radical transparency requires you to express your thoughts openly and honestly, and yet not hold your opinions too tightly. You should understand and appreciate where the other person is coming from, and yet be assertive in pressure-testing the person's opinions. By removing ego and emotions out of the equation, you and the other person should have thoughtful disagreements and be willing to change your opinions as you learn and grow. For Dalio, the ideal meritocracy is "a system that brings together smart, independent thinkers and has them productively disagree to come up with the best possible collective thinking and resolve their disagreements in a believability-weighted way". In case you're wondering, 'believability-weighted' refers to the number of times you have successfully accomplished a specific task or goal, and so the greater your believability, the more weight your arguments should hold. Evidently, these approaches are not for the faint-hearted. You have to be used to highly uncomfortable confrontations. In Bridgewater, 99 per cent of the conversations and meetings are recorded so that employees can view and critique those later. Brutal honesty can take a heavy emotional toll and damage relationships if poorly handled. So, the application of Dalio's principles to organisations would be very challenging. But the book has a number of fresh and intriguing insights that can help you get better at whatever you do, and support you in your pursuit of excellence.